Yesterday morning at the office we all got an email in our inbox that our co-worker Chuck had brought in a special dessert to share. Not one to miss out on a treat I skittered out of my cubicle to check it out. 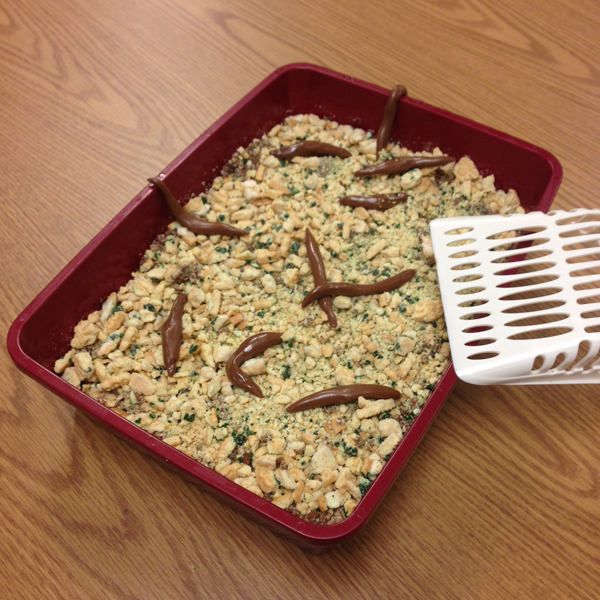 This pan of "kitty litter" is what I found. Isn't is GRRRROOOSSSS?! Ha ha we dug into anyhow! What craftsmanship with the kitty poo! It was very tasty! 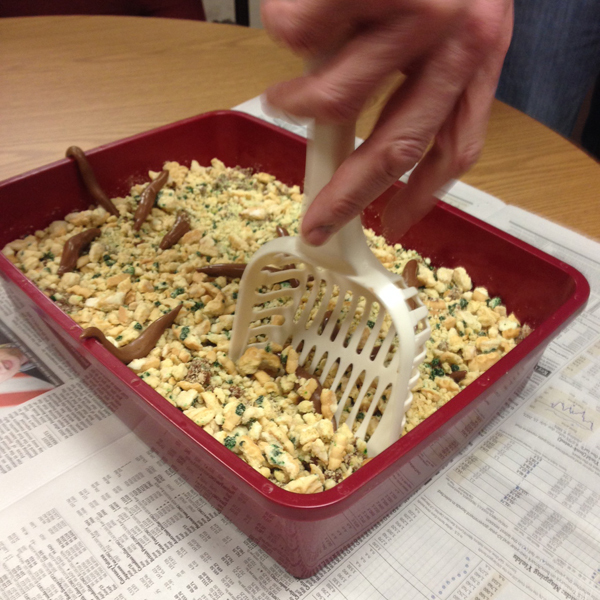 We all got a big kick out of Chuck's April Fool's Kitty Litter Dessert. It's made from cake crumbles, pudding and vanilla cookies. I found the recipe online for anyone that wants to yuck out their friends and family too. That is spectacular. Kudos to your co-worker! I love the newspaper, he thought of everything.